Peep KRS-One "B. 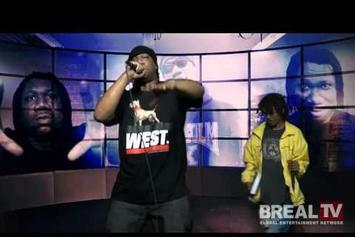 Real TV Freestyle" Video, the latest visual from KRS-One . It dropped on Wednesday, April 17th, 2013. KRS-One 's future brightens with every new release, and KRS-One "B. Real TV Freestyle" Video certainly isn't an exception. It's a fitting addition to a solid catalogue that KRS-One has been developing since stepping foot in the game. We're excited to hear more. 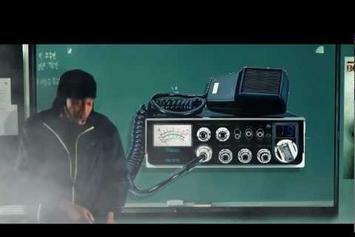 Stream KRS-One "Disaster Kit " Video, the latest video from KRS-One , which dropped on Monday, November 12th, 2012. KRS-One 's odds keep getting better with each new leak, and KRS-One "Disaster Kit " Video will undoubtedly improve his chances of winning. It's a worthy addition to a respectable catalogue that has seen a lot of growth since KRS-One debuted in this game. We're looking forward to the follow-up. Watch KRS-One "AZTECHNICAL" Video, the latest video from KRS-One , which dropped on Thursday, December 8th, 2011. KRS-One 's horizons are broadening with each new release, and KRS-One "AZTECHNICAL" Video is no exception. It's a worthy addition to a catalogue that has seen much growth since KRS-One stepped foot in the rap game. We're looking forward to hearing more. Check out KRS-One ""Just Like That" [Official Video]" Video, the latest visual from KRS-One , released on Thursday, November 17th, 2011. KRS-One continues to impress with each new leak, and KRS-One ""Just Like That" [Official Video]" Video is no exception. It's strengthens KRS-One 's already impressive body of work, which has seen positive change over the years. We're most definitely anticipating KRS-One 's next offering.